Nick Pourfard in his Sunset garage workshop. An autographed photo from Mike Harris of Iron Maiden hangs above a worktable. It wasn’t quite an accident; it wasn’t quite on purpose, either. At least that’s the way Nick Pourfard explains how he was able to achieve the strikingly unique colors in the electrical guitars he designs for his business, Prisma Guitars. But unique isn’t quite accurate in describing Pourfard’s guitars, either. Saying they're like snowflakes or fingerprints—never one the same—would do them more justice. The secret? 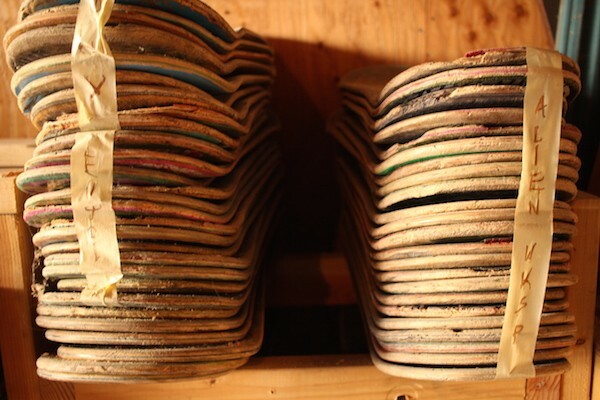 They are made from recycled skateboards. 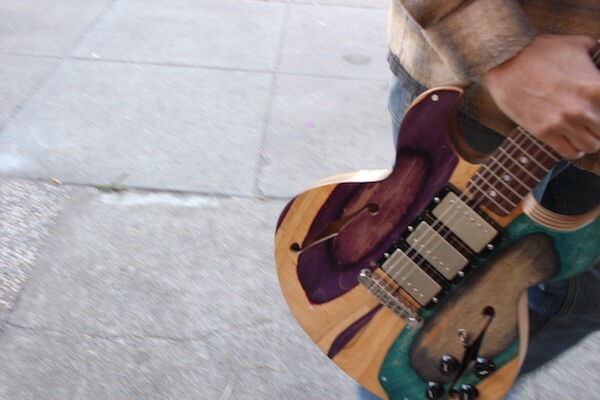 Pourfard, 23, has been making guitars for close to four years now, though he started his business just one year ago, while balancing his studies at San Francisco State University. He's just getting started, but the San Diego native has already found a bit of success: His first customer was iconic skater Justin Figueroa, who also plays in the band Harsh Toke. And he even built a guitar for Steve Harris from Iron Maiden. 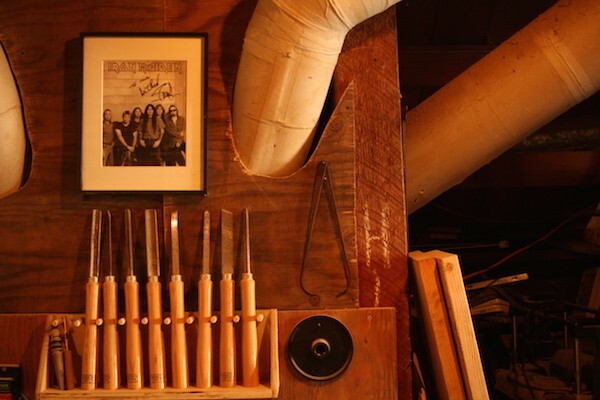 In lieu of hanging up his business' first dollar, Pourfard hung an autographed photo from Harris right above one of his woodworking stations. “In my dreams, he would play it on stage,” he laughs. 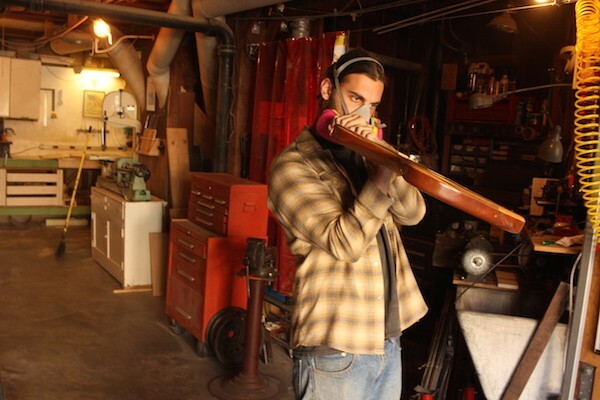 Working out of his garage in the Sunset with the childhood friend Michael Svendsen (23), who taught him how to make half pipes, Pourfard is constantly being stopped by neighbors who like to peek in to see what he’s making next. Within a half-hour, three people peered in at one model hanging to dry, glistening with blues, purples and greens against a backdrop of plywood and concrete. Pourfard is tightlipped about the design process, having been copycatted before. He continues to expand on different ideas, using as much time and as many resources as he possibly can on campus to learn new techniques. 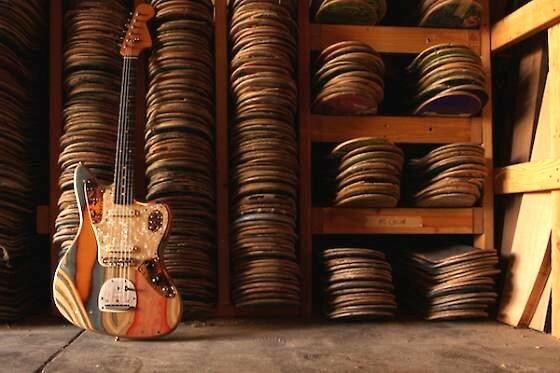 So far, he’s been able to control the patterns of each guitar, even making one with multi-colored pinstripes. Soon, he plans to create an acoustic guitar.